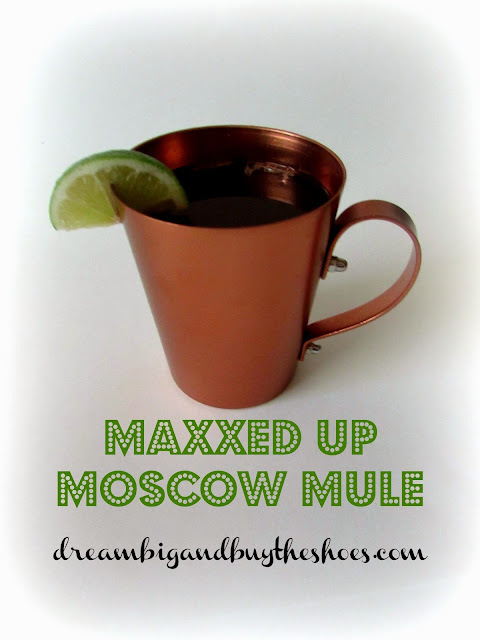 Can you believe I hadn't tried a Moscow Mule until last year? Crazy, right?! I can't believe I was missing out on this delicious, refreshing drink all this time. I thought that they were complicated to make, but they are actually far from that. Simple, quick & tasty is at your fingertips with just a few ingredients, including one to jazz up your Mule. Thank you to Reed's for the perfect ingredients to make the most delicious drink. 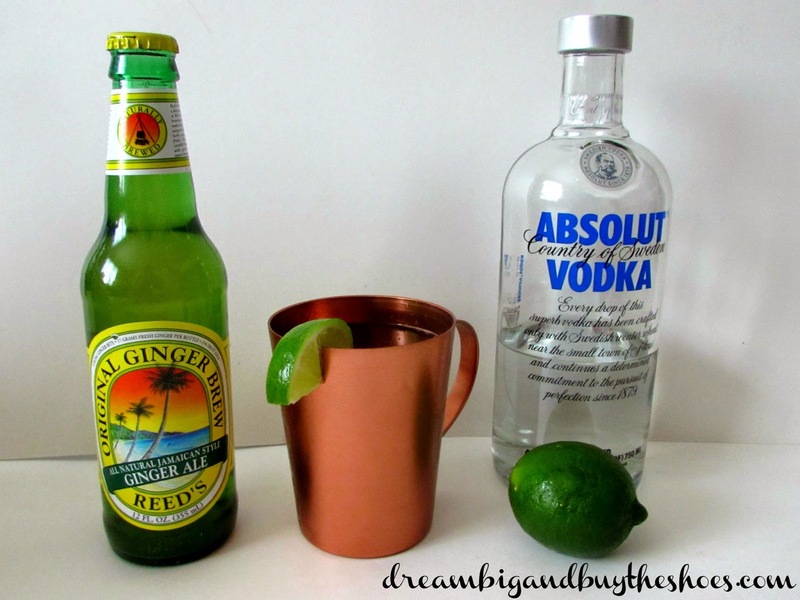 Tweet: Sharing some ways to jazz up your Moscow Mule with a Reed's Ginger Brew. 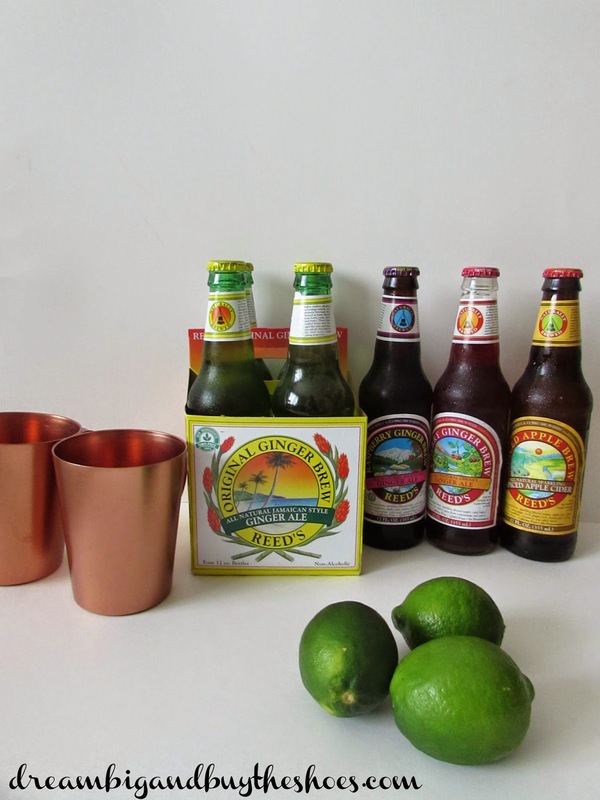 Mix all ingredients in a Moscow Mule mug or highball glass. 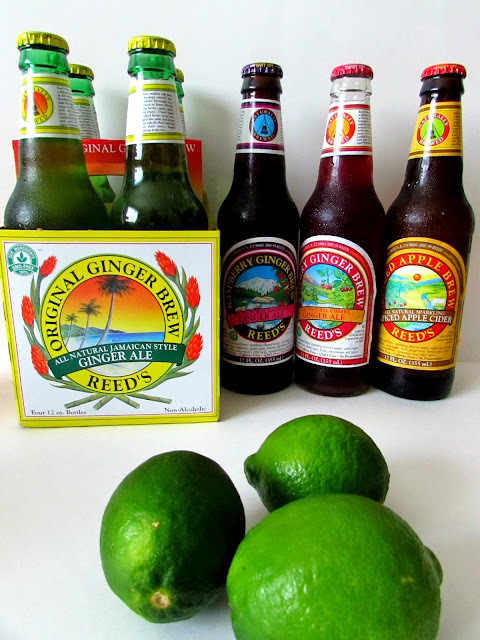 Reed's Ginger Brew is made with all natural ingredients, which is a great perk to this ingredient. Reed's comes in the classic Ginger flavor, as well as Cherry, Raspberry and Spiced Apple. These flavors really kick up the zest in the drink. My favorite is the Raspberry Ginger Brew, but I could really see myself enjoying the Spiced Apple in the early fall. The Moscow Mule has become one of my favorite beverages to enjoy, especially during these sunshine filled spring weekend days. 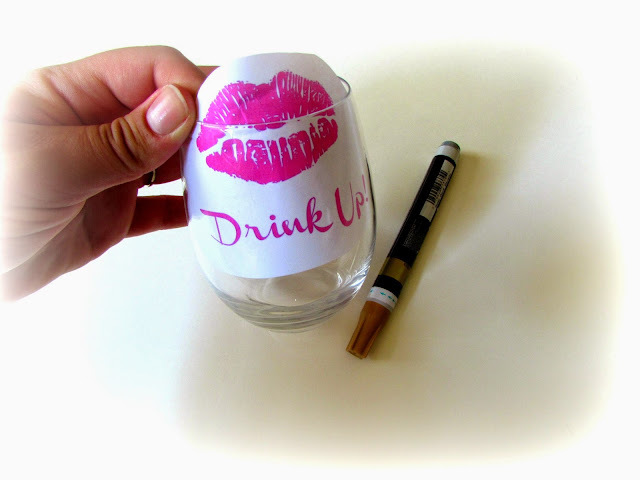 If you're looking for a fun glass to make to enjoy your cocktails in you should check out my post about some DIY Drinkware here. What's your favorite springtime drink? I've newly discovered Moscow Mules too and it was basically love at first sip! I haven't tried making my own yet but definitely need to give this recipe a go! I'll be hunting down some Reeds immediately!! Thanks for linking up with us! I've never had one, but I love the cups they put them in! I saw some at Target the other day and was so tempted to buy them, so pretty! I LOVE a good Moscow mule! YUM! 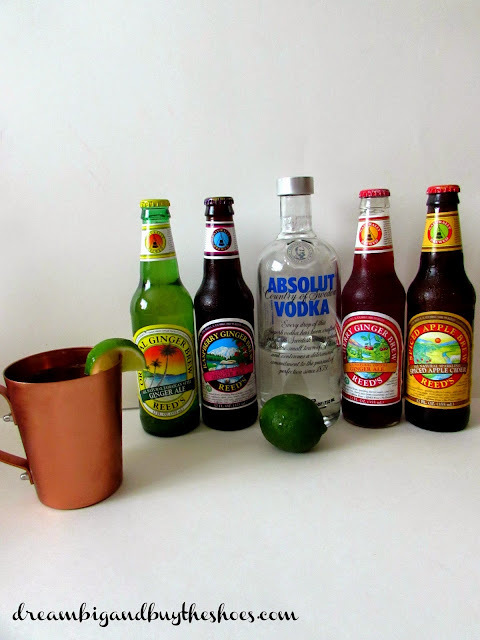 I've never tried a Mule before either but this recipe is easy enough that I may make one this weekend! Ummmmm I need this NOW! 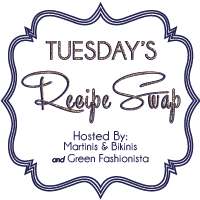 What a fun recipe and I love moscow mules! They're a nice light drink and not too sweet like some cocktails...I'll have to give your recipe a whirl! They are SO tasty :) love them! Yes, they are so refreshing & light...perfect for summer. I hope you try it and enjoy it! Yes, it's so easy...I always thought it was a complicated drink so I shyed away, until my friend made me one. I love them now. Let me know if you get to have one & what you think Kerri! That's so cool. I heard they were in a copper mug for a reason, but never knew the reason. Thanks for the information Emily, pretty neat! The flavored ginger brew really gives it a nice kick, love them! YUM is right, they are SO good. Thanks Kate, the people at Reed's are awesome...they sent me that too! I can't believe I was missing out all this time Liz, they are SO good! Yes, the copper is so unique...you should try one sometime...very refreshing! YES, I love an easy drink too Biana, SO good! I hadn't had a moscow mule until this past December, so clearly we were both missing out for far too long! Thanks for linking up today! Yes..yes, they were...go enjoy one, right now! I am SO glad that I'm not the only one that was missing out, haha! They are SO good and yes, refreshing is the best word to describe them! The copper mugs are my second favorite part about them. Thanks for stopping by Taylor, I hope you get to enjoy one soon! I still haven't had a moscow mule. It's on my MUST do list for summer. The variations of it that you discussed with the different Reeds flavors sound just as delicious. I need to try them all. YOU MUST TRY, I can't wait to hear if you like them! I linked up, woo hoo! Thanks Kristin! This is my favorite cocktail these days! I LOVE it. Just saw the link to your recipe on Martinis & Bikinis blog. Have a great weekend! YES, aren't they SO good Traci?! Thanks for stopping by!